The West Coast Hip Hop Family, Indigenous Hip Hop, Indigenous activists, and African activists around youth programs have unified so completely it is amazing. Up until now, there has been a miscommunication line between Hip Hop Celebrities/Artists and non-profits, most especially Indigenous Hip Hop youth activists who rely on Hip Hop music as a way to reach young people. This was mostly due to the fact that ambassadors on each side had a long walk to get everybody to understand truly in the hearts of the other. I have been both a non-profit and in Hip Hop for 30 years and have never seen such a truly sincere effort on all parts. I don't know if there are any words to describe the endless calls from Black, Indigenous (and Latino) and non-profits in support of the 1st Solar/Wind powered Hip Hop tour both going to Reservations & major cities (free shows). This tour/media campaign will, in about 8 weeks into the tour, be a big news event for about 1 month both National and International. We are doing small venue and reservations so that we can fund all the artists coming. The first leg is: Colorado, New Mexico, Arizona, Nevada, California, Oregon, Washington State, Pine Ridge (South Dakota), and then Canada. We will then be coming back to other states. There are 24 Bio Fuel run converted buses, including mobile greenhouse, solar cars, and water truck. So we will be a totally self sustainable "mini village". This demonstrates the power of solar/wind as well as eco sustainability in a real way. 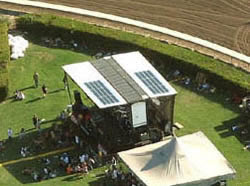 As of March 8th we will be the 1st Hip Hop TV/Radio Station to be solar in the nation. Our first tour stop is Hawaii, as we have a Samoan group that is part of the artist roster now. That will be April 23. We will be the next, April 27th San Francisco. 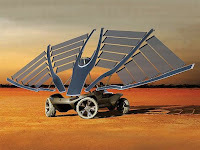 We then become the 1st Solar/Wind Powered Hip Hop Tour in the world. We are also merging with a non-profit called Grind for the Green on this, which gives us an additional already createf national media campaign for 2010 and another tour in 2011.